Over the weekend, our two nieces performed in their dance recital. 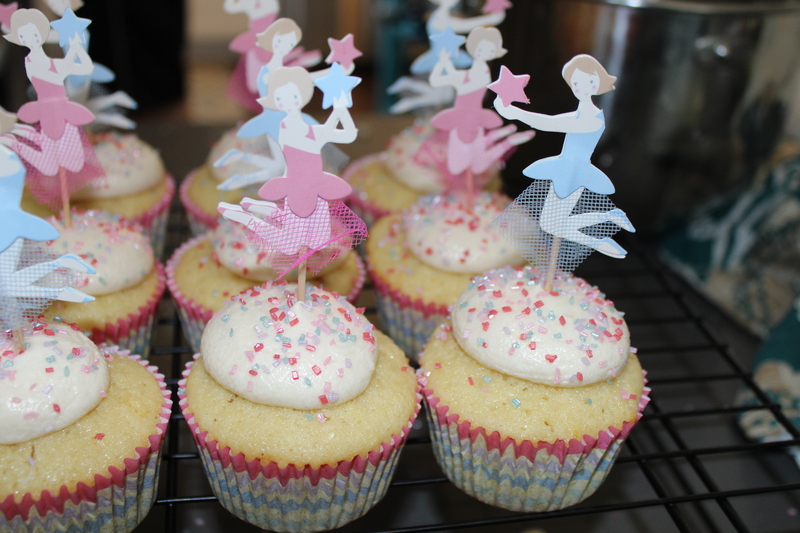 To celebrate, I made these tasty cupcakes in their favorite flavor – vanilla. Sometimes, the baking stars align and you have everything you need for a last minute themed treat. 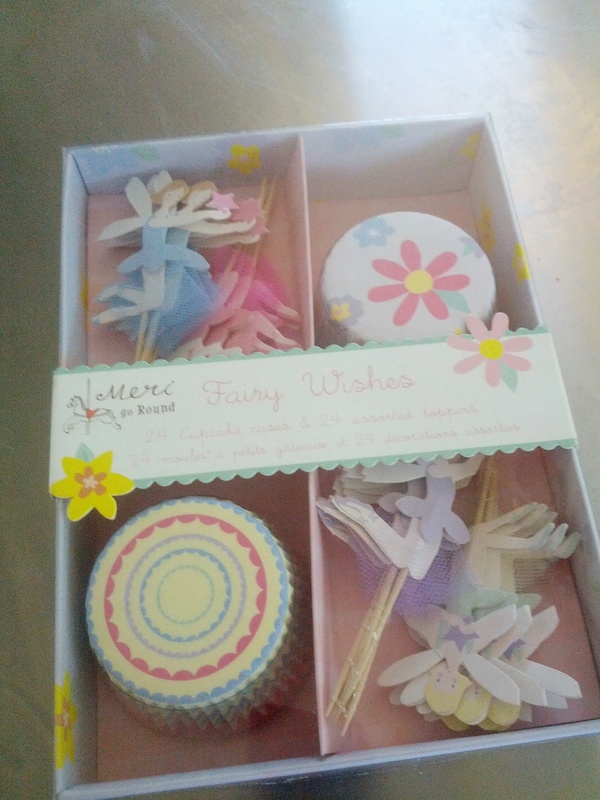 I had those little cupcake toppers forever – a clearance find at Homegoods. Yep. They’re actually fairies. I just cut off the wings and you get ballerinas. The sprinkles were a another clearance find after a holiday – I was glad to see the colors all matched. For the cakes themselves, I tried out a new vanilla cupcake recipe, and it was delicious. I think it might be my new go-to for vanilla. Spongy, sweet, and scrumptious.